North Down DUP councillor John Montgomery has defected to UKIP. Mr Montgomery, 65, is a DUP veteran who has served three terms on the council. He said he had opted for UKIP because the DUP had become "a bit dictatorial". "I was unhappy with the way the DUP run things," he said. "Locally they are a bit dictatorial and I don't have the freedom I need to get on with my work." There have been tensions between the councillor and the party, which briefly withdrew the whip from him in 2012. He said things were "never the same after that". Mr Montgomery has now redesignated as UKIP and intends to resign from the DUP. 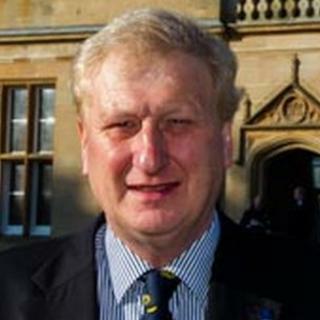 UKIP chair Henry Reilly said he was delighted Mr Montgomery had opted for his party's brand. A DUP spokesman said it had not received any letter of resignation yet. "Ultimately, the electorate will make their decision in May. Mr Montgomery should put his name forward and let the people decide who delivers for them," the spokesman added.